Clouds is a documentary of a different sort. Using real-time interactive data visualizations set as the backdrop to over 10 hours of interviews with artists, hackers, and designers—all captured as weird and wonderful point clouds—there’s no way you’ll walk out not feeling like you inner-child just experienced something out of the film Hackers (1995). 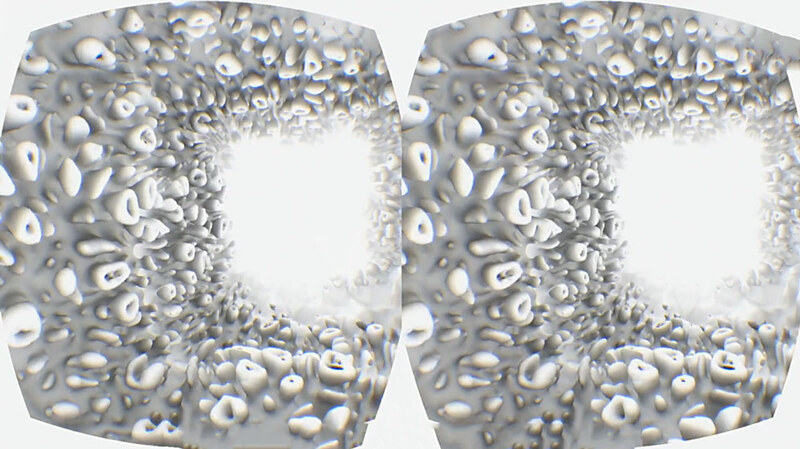 The documentary’s interviews have been captured as depth data, not plain film, allowing them to be represented as 3D geometry in a real-time VR environment. 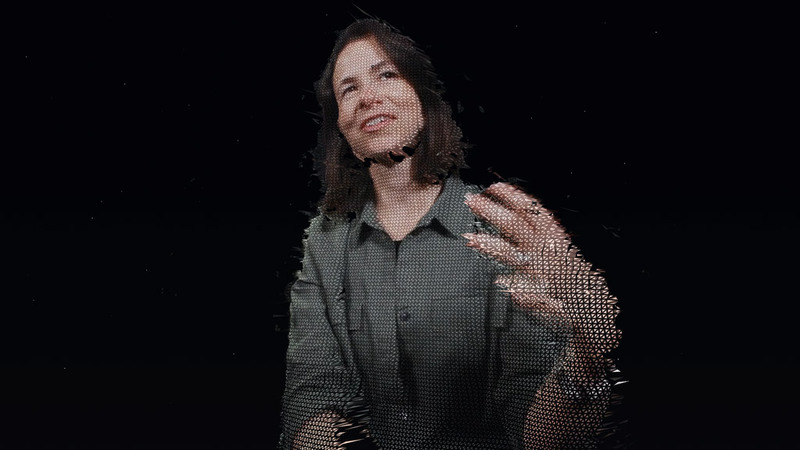 Keeping in the data-visualition style of the documentary, interviews are captured on a Kinect sensor strapped onto a standard DSLR camera, a technique pioneered by the team behind DepthKit. The documentary is tied into an executable file that can be played both on traditional monitors and the Oculus Rift DK2, making for a trip that even after 2 hours of intent listening still feels like there is a world of information left to experience. Rachel Binx, data visualizer at NASA Jet Propulsion Lab, was one of the over 40 speakers to share her knowledge, commenting on the sort of ‘big data’ that can be better digested with the help of visualizations. CG imagery accompanies the interviews, emotionally or quantitatively visualization the subject matter. You’ll be hard pressed to walk away from Clouds without a new idea or concept to ponder, but there are a few hiccups in the program’s VR mode. Navigation inside of Clouds is more gestural than natural. When I found myself leaning in to a speaker to get a better view, I would accidentally flip the scene around entirely, then scramble to regain a comfortable viewing angle. More than once I hit one of the many floating menu icons that then steals you away to another subject and a new set of speakers. With your gaze becoming more of a pointer than an actual head in a 3D space, navigating and interacting in Clouds takes some getting used to. The visualizations themselves are absolutely massive in VR, gorgeous in their own right, but at times overwhelming due to the lack of point of reference that would be afforded by a cockpit or ground to stand on. This puts you in a precarious place as dazzling neural connections form in a black void and you invariably start to feel like you’re moving rather than the scenery (something called ‘vection’), which can lead to nausea. I wanted to stay and enjoy, but my perspective was dragged across gyrating waves or randomly generated mazes, all without the freedom to control pace or direction—an unfortunate side effect of the challenge of creating something that spans both traditional screens and VR headsets. 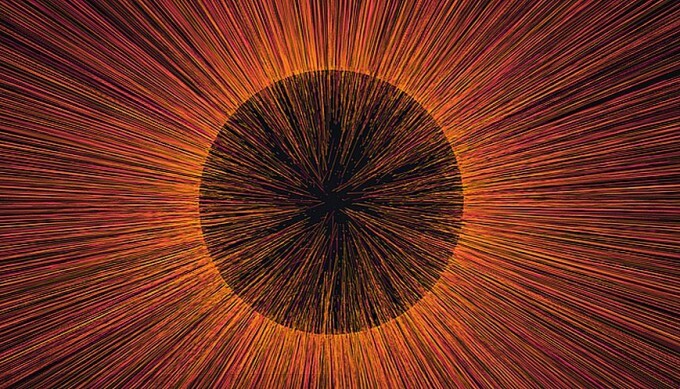 ‘Noise Sphere’ explodes with a cacophony (love that word) of noise! You can get your hands on this massive project for a $5 rental fee (accessible for 3 days) or you can purchase unlimited access for $10 on the Clouds website. The purchase includes the Oculus Rift DK2 version and the desktop version. Oculus runtime 0.5.0.1-beta is required to run the executable on the DK2, and you’ll need to flip the headset’s extended screen in your computer’s display settings. I had no problem running it on Windows 10, but only after physically dragging and maximizing the screen on the Rift’s monitor. The project’s creators say they’ll update the documentary to the Oculus 1.0 runtime once it’s released (which will presumably launch proceeding the release of the consumer Rift headset). An internet connection is required for account authorization for the online version of Clouds, and must be activated in the normal executable file before strapping on the Rift. Alternatively you can nab the experience on a limited edition USB drive to sidestep the need for online authorization. Configuration help can be found in the readme file, but if you’ve owned a DK2 for some time, you’ll already be well accustomed to this level of technical finagling.